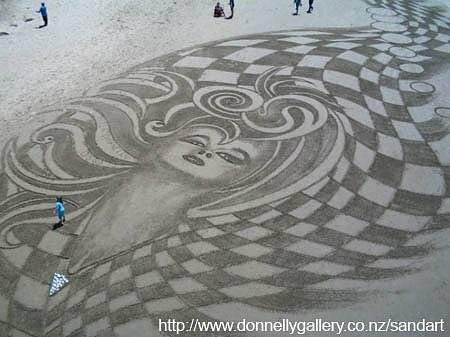 Peter Donnelly is an artist who can truly claim to see the bigger picture while attending to the devil that's in the detail. 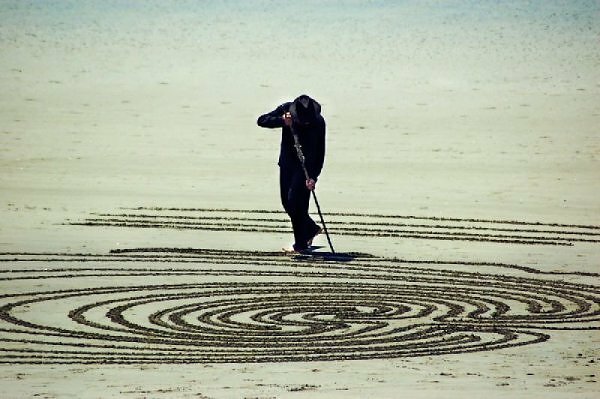 He is also an artist who is far from precious about his work, since few mediums can be as transitory as the one he chooses to work in. 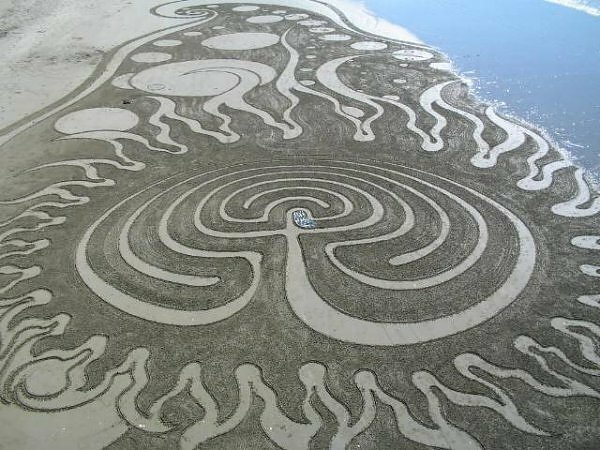 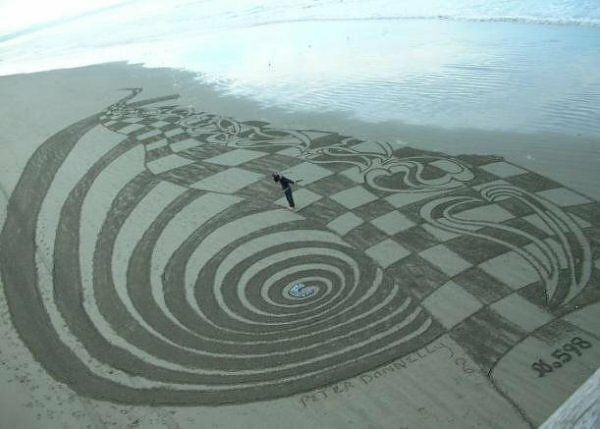 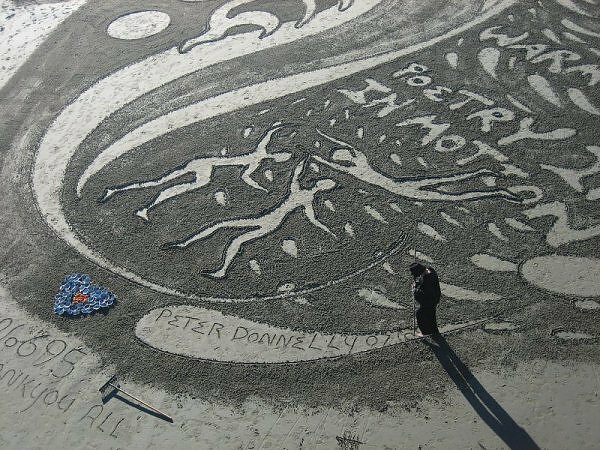 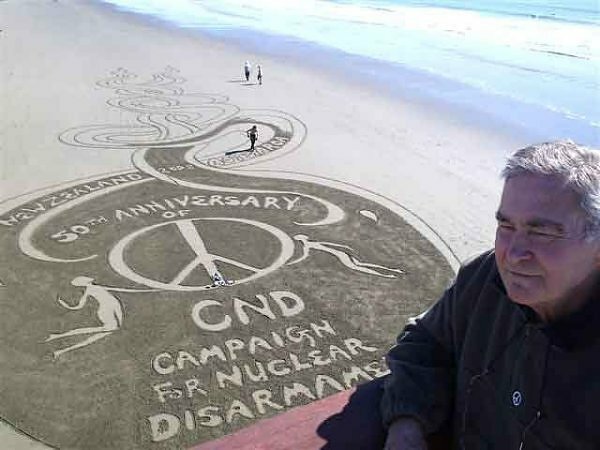 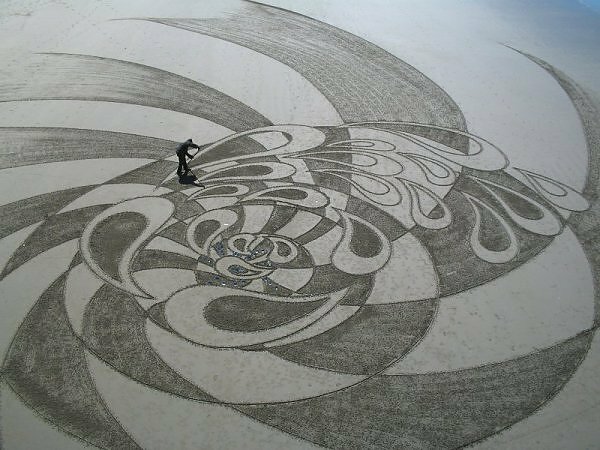 While humankind has surely been creating artworks out of sand since long before we have been able to preserve any trace of their fleeting existence, few sand artists can have worked on such a scale as Peter Donnelly. 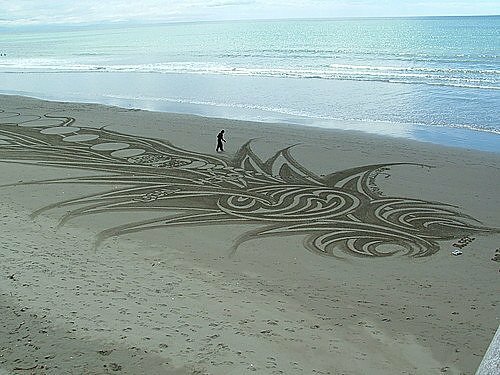 And few revelled so much in the march of the incoming tide. 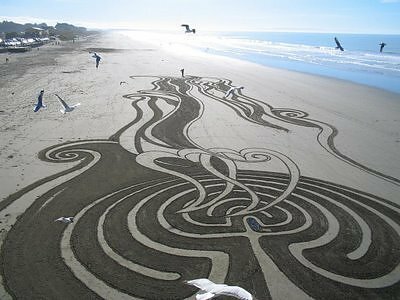 0 responses to "When Beaches Become Giant Sand Art Canvases"